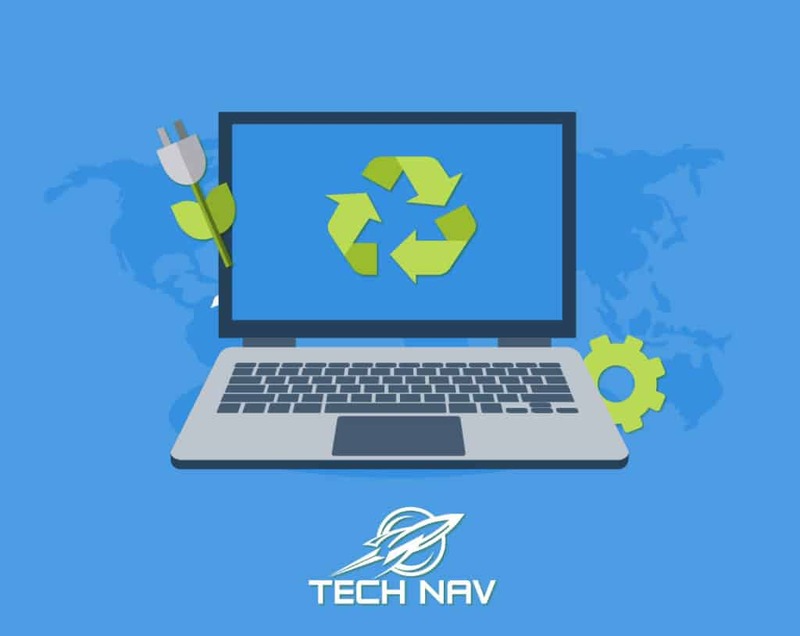 At Tech Nav, we recognize that sometimes, the easiest solution to consistent computer problems is to just replace the computer. Or maybe you’re just ready for a new computer, and find yourself wondering what to do with your old one. What do you do with an old computer? We see that this was a serious issue for a lot of our customers, most of whom wanted to just throw old computers away. This is bad for the environment, as computers contain all kinds of materials that are harmful to nature. In addition, there are multiple components of your computer that can be reused, lowering the need of factories to pump out more of those components. That’s why e-cycling is the best option for your old computer. So what is ecycling? Ecycling is the practice of taking an old computer’s parts and components and using them in other computers instead of throwing them away. In fact, 98% of your computer can be recycled into other machines. Even more interestingly, the EPA did a study that showed how recycling one million laptops could seriously impact our environment. 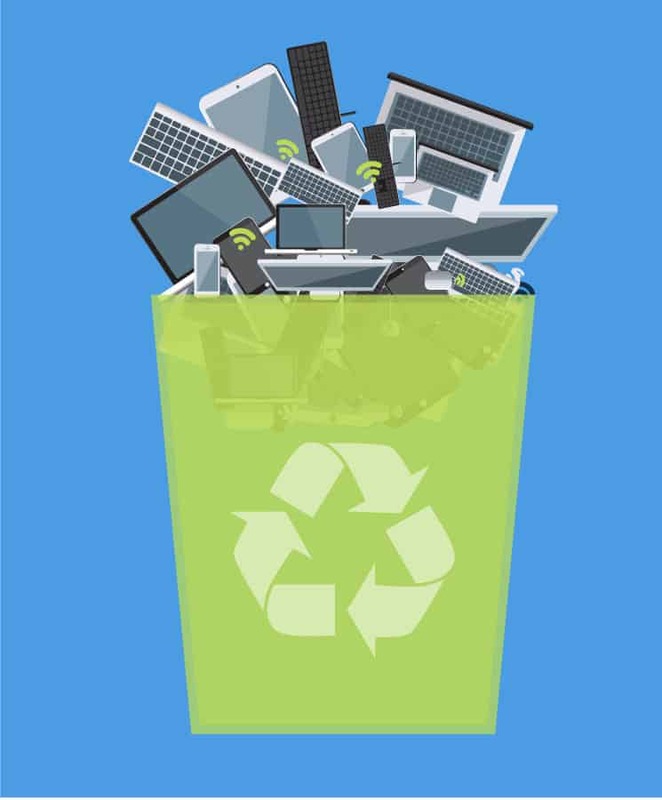 By using those laptops’ recycled parts, there would be enough energy saved to power 3,500 U.S. homes of a whole year! In other words, if you’re looking to get rid of your old computer, ecycling is better than simply taking it to the dump. How Can I Recycle My Computer? If you are wanting to participate in ecycling, it’s actually a lot easier than you think. You’ll also want to erase any personal information that is saved on your computer. Delete all of your log-ins and passwords to websites on your internet browser. Uninstall any extra programs, such as Microsoft Office, to ensure that no personal information remains on your computer. These few steps can easily save you from identity theft. In fact, one service that we offer at Tech Nav is wiping your computer properly to help protect your identity. Now that it’s cleaned off, take your old computer to a store or service that participates in ecycling. You can find a locator here or even come by Tech Nav – we will gladly reuse salvageable computer parts. We partner with some of the local eCycling companies here locally to make sure that parts are reused in environmentally safe ways and to prevent as much waste as possible. Congratulations! You have now e-cycled a computer safely and had a positive impact on the environment! Do you want your ecycling to mean even more? 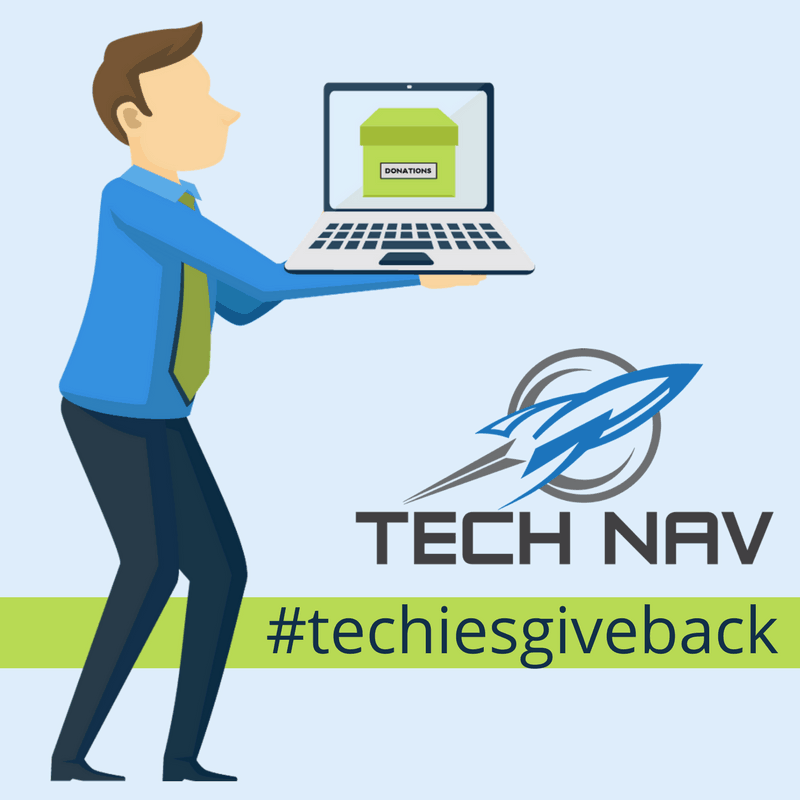 Every May at Tech Nav, we host our program Techies Give Back, where we collect working computers and format them to meet the needs of families who otherwise can’t afford them. If you have a computer to donate, follow us on Facebook and see when the program is scheduled for next, along with our other events, sales, and more!